Taking care and nourishing the relationship that you have with yourself is of utmost importance. Ensuring that the body and mind connection is healthy is priceless and will lead to a better you. When you maintain and support yourself, it then becomes healthy to step into the second most important aspect of life: RELATIONSHIPS. In this specific scenario we are talking about the emotional and intimate relationships in your life. As time goes on, we have more accessibility to technology, which was originally set up to benefit humans in accomplishing work efficiency and staying better connected with loved ones. Unfortunately, social media has been seen to cause a great deal of disconnect and mistrust in relationships. Whether you have an Instagram, Facebook, or twitter, it is likely that you are at least spending a portion of your time on time these platforms each day. An average of 88 percent of people 18 to 29 and about 78 percent of people ages 30 to 49 are in use of social media platforms (Forbes). Sheryl Sandberg, Facebook COO shares that there are about 1.23 billion social media logins a day and this number has increased by over 16% since 2016. The truth of that statistic is that the majority of these people are in relationships. Arita Gupta, Founder and Clinical Director at TherapyNest in Palo Alto, California shared some tactics that have been helpful for a great deal of her clients. (ADAA). Don’t believe your own hype- As most people do, you may post your accomplishments on social media. Often times old friends or flames will give praise to your current accomplishments. What is important to remember, is that this elation is coming from an absence of something inside of yourself or in your relationship with your partner. When you have deciphered where it is that this feeling is coming from, it would be keen to sit down with your partner and or therapist about your satisfaction. Set aside time that is device and social media free- In this technology heavy world, it can sadly, be hard to remember about our real life relationships. A healthy way to ensure that you and your partner are healthily connected is to set aside time to communicate and spend time with one another technology free. Quit the stealthy behaviors– Take responsibility for your actions both in real life and on social media, partaking only in activities that which are respectful to you and the commitment you made to your partner. If you are in a situation in which you feel that you or your partner is unsatisfied—hold open and compassionate communication. John Gottman Ph.D. is world renowned researcher and psychiatrist, focusing on marriages and relationships. He has over 40 years of experience and has over 200 academically published articles on love and relationships. Gottman was also voted one of the top ten most influential therapists of the past quarter-century by PsychoTherapy Networker publication (The Gottman Institute). By being aware of yourself and your partner, you are being a present participant in the relationship. Turning toward your partner in times of either happiness or sorrow, helps to deepen trust and connection; “being there.” By showing tolerance to your partner, you go against the non-constructive element of “fueling the fire.” When you respond in a non-defensive way, you show your partner that you are digesting what it is that they are conveying in a respectful way. Last but certainly not least, having empathy for your partner and their point of view is transformative for trust, showing your partner that you have their back. 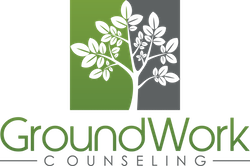 Here at GroundWork counseling in Orlando, our couples therapists cover a variety of demographics. We are proud to say that we use the Gottman method when it comes to working with couples and individuals who are looking to improve and maintain present relationships.